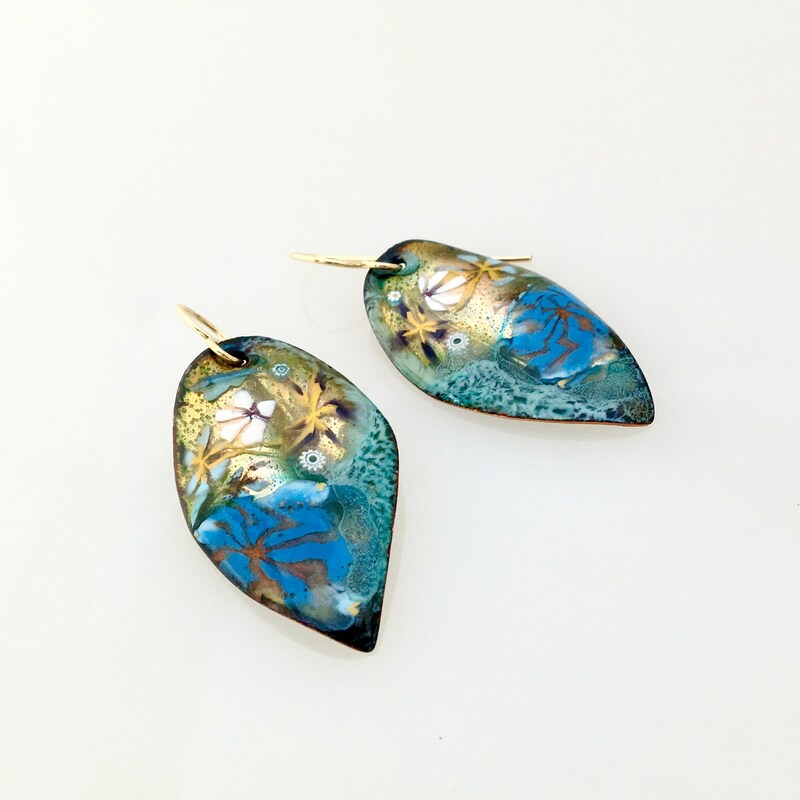 Abstracted copper enamel leaf earrings in gold and blues feature a dreamy floral design. 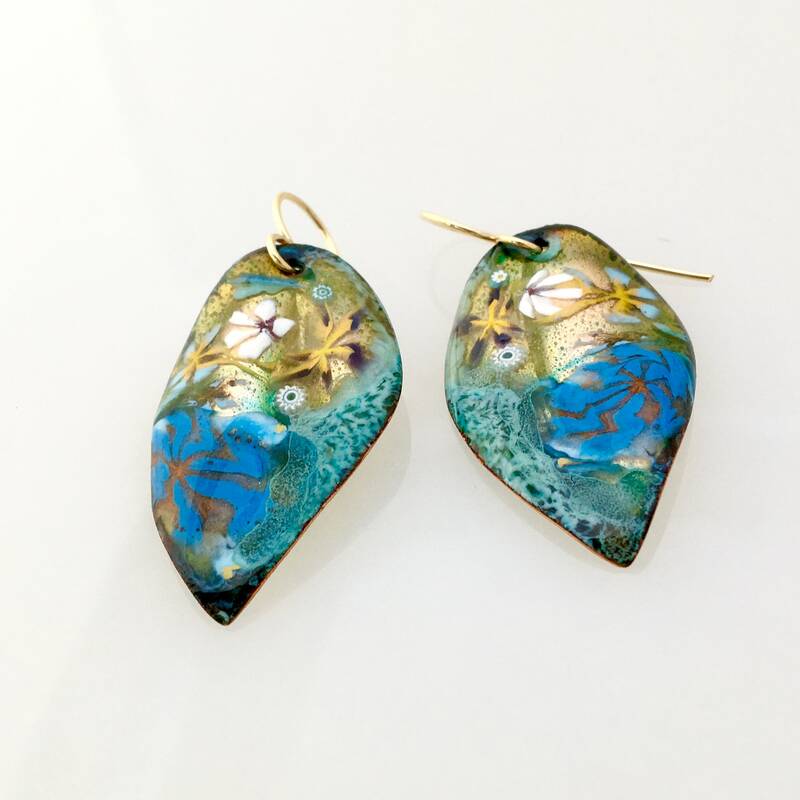 Hand painted enameled art jewelry is a unique original—and an extraordinary gift! 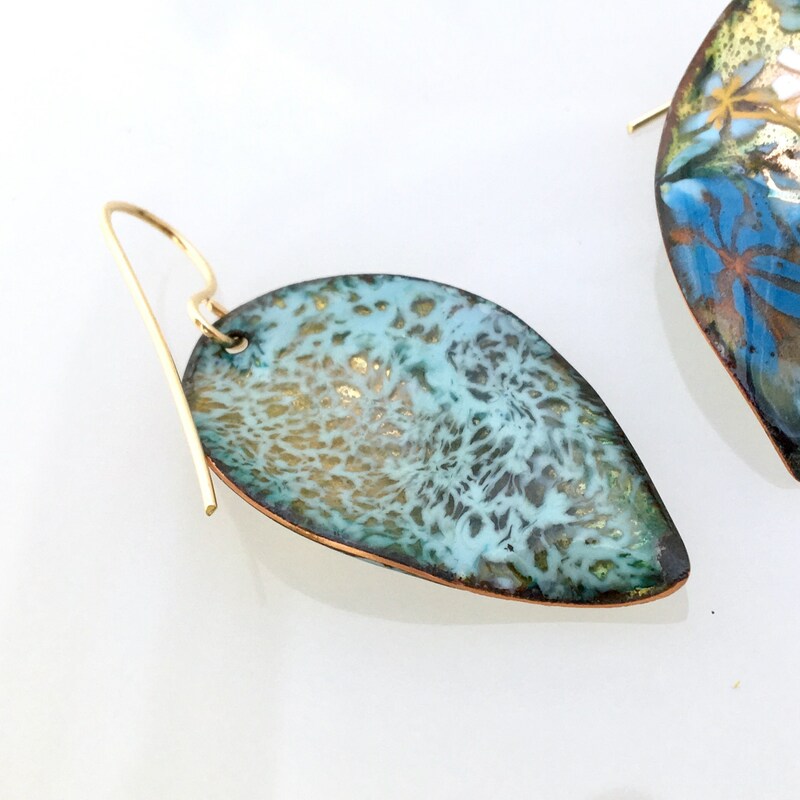 Handmade 14-20 gold filled ear wires. 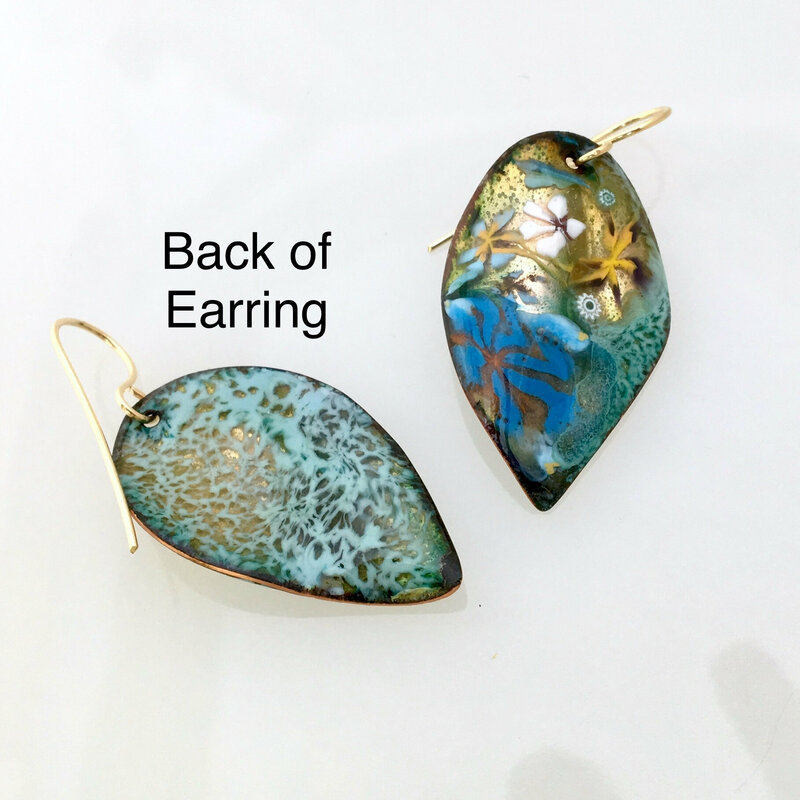 Each "Leaf" is about 1" wide & almost 1 1/2" long; total earring length is about 1 3/4" from top of ear wire. 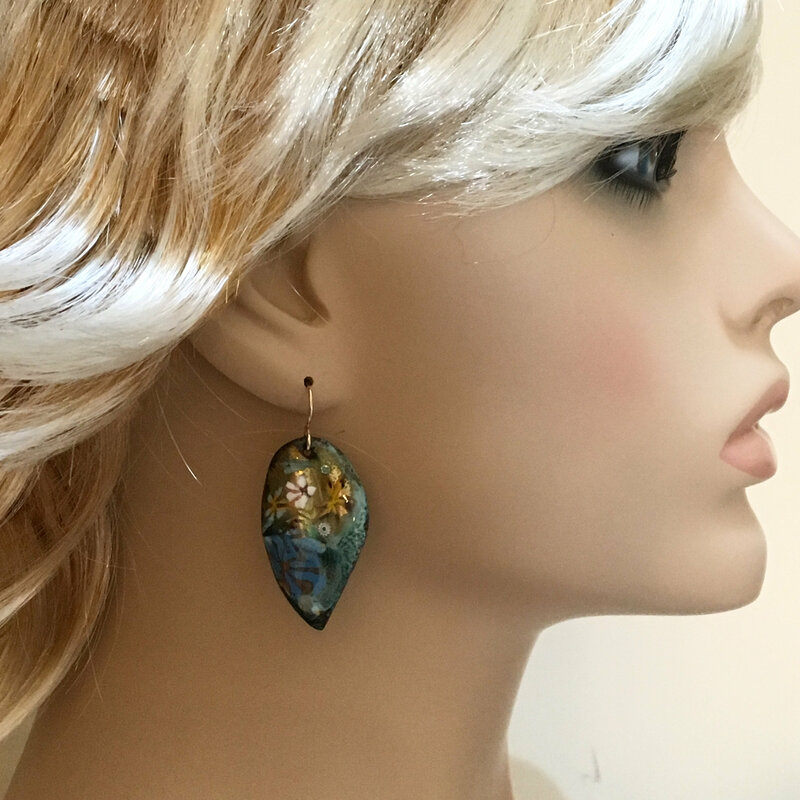 My design is lightweight & swingy; very easy to wear. 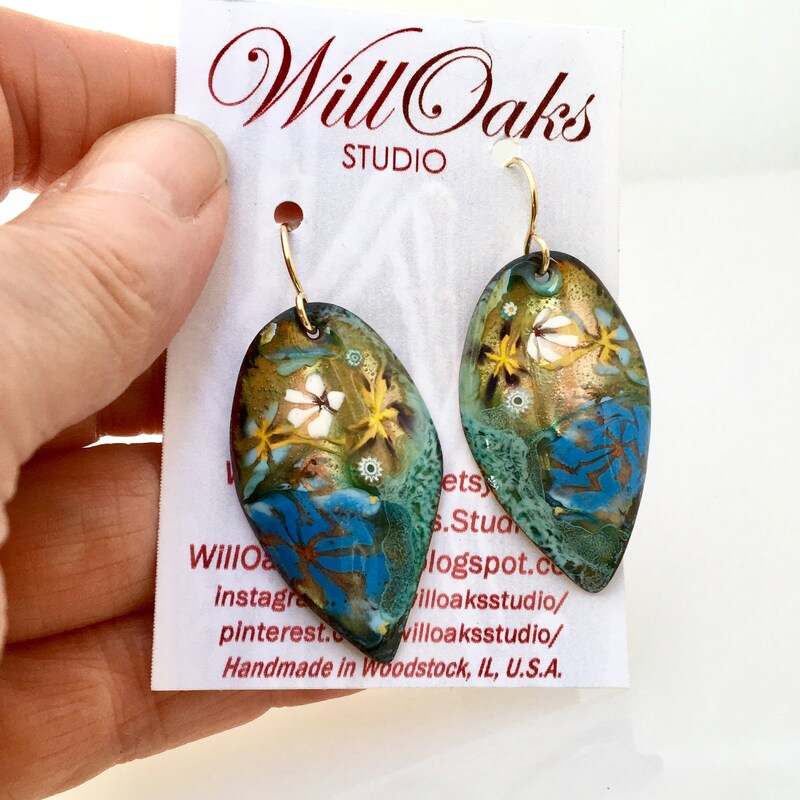 Presented in my signature box & ready to ship and to gift. 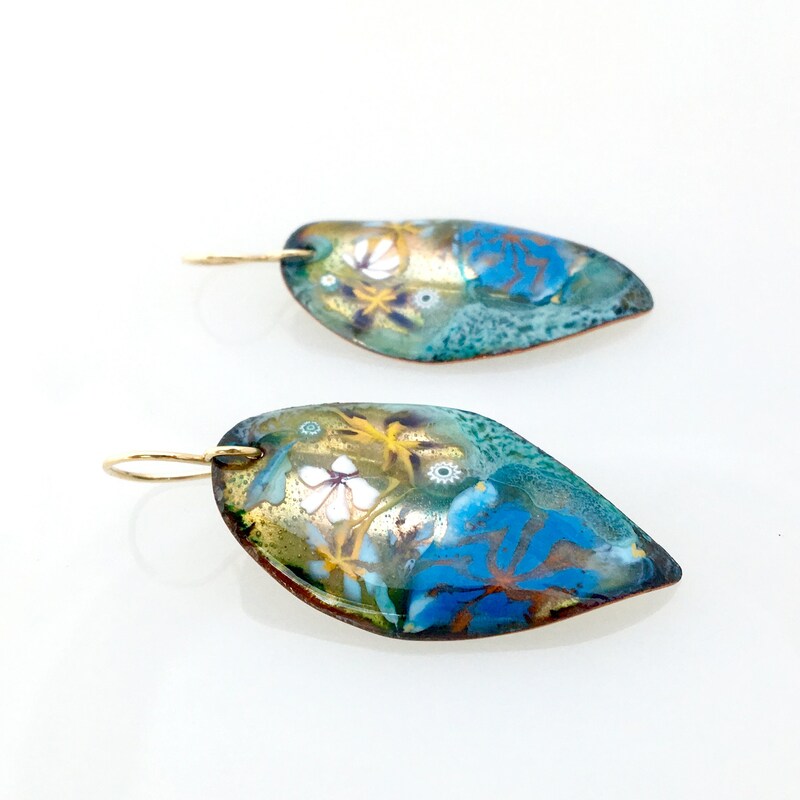 Created with hand cut & formed sheet copper and vitreous enamels. 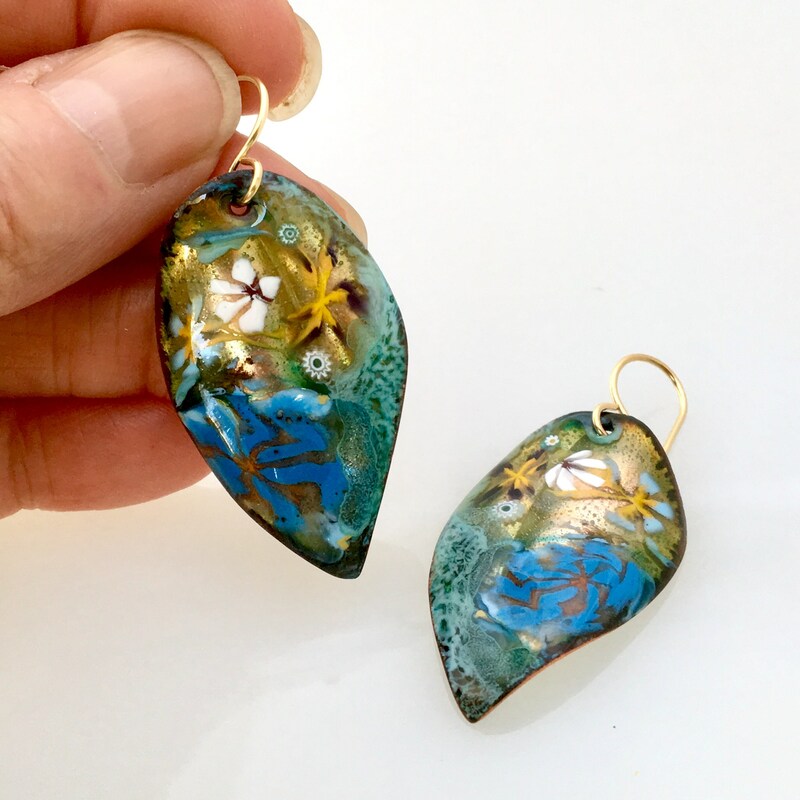 Imagery, design & colors are developed as powdered glass & glass pieces are applied, layer by layer, each melted to the copper as the work is repeatedly fired in a hot kiln. 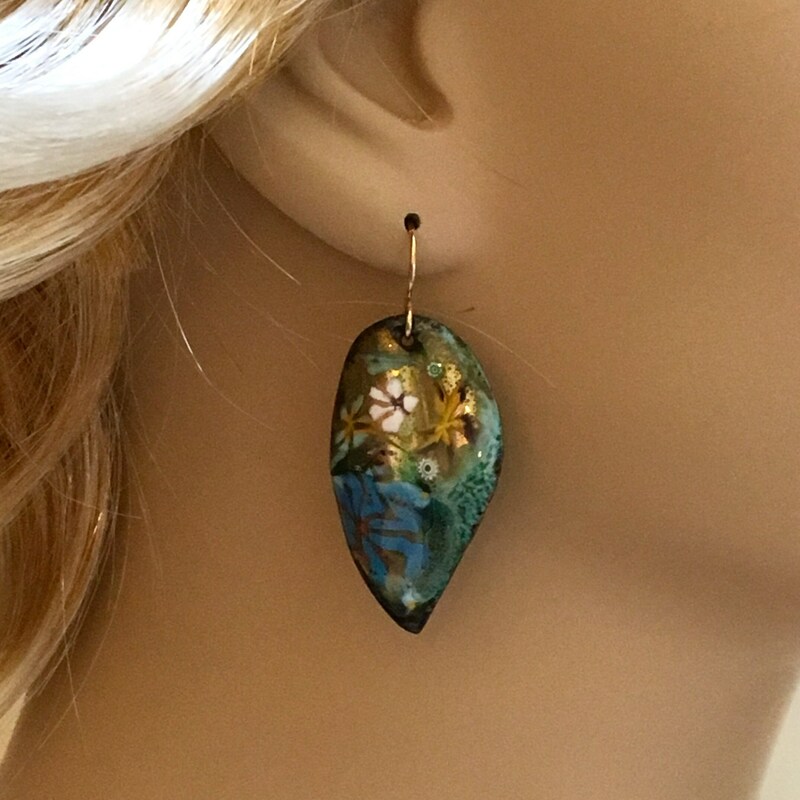 The finished smooth glass finish is durable, fade & bleed proof, and permanent.